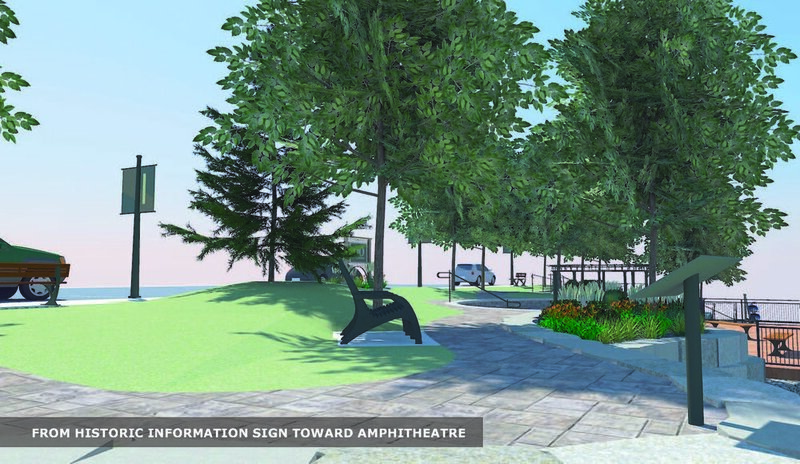 This small waterfront park concept offers the opportunity for what is currently an unused parking lot and eyesore to be transformed into a useful public space that would beautify and add identity to the community. It features a small amphitheater, walking paths, elevated boardwalk with views of a heritage mill/creek, gardens, dock and canoe/kayak launch and small open grass areas. The proposed park meets today’s accessibility standards and allows access to the community via the water. Stay tuned to see what the future has in store for this property.